-I'm joyful. It's so funny. I was just in a blah/whatever mood. Not terrible, but I guess I hadn't noticed yet that my mood was different than the last few days. I was a grumpy grouch Monday & Tuesday (pms... sorry, guy readers! If i even have any!). I stayed up too late last night, so i was tired when I got to work this morning (tired = grumpy mel). I've just been working & blogging & such, not realizing I was waking up & in a good mood. Just went to the bathroom & on the way there, started singing, "let the redeemed of the Lord say so". Have you heard it? We used to do it at HeartsEase & i could not contain myself when we would. AMAZING song! We sang it at Victory last Sunday so i guess it was still in my head. And I found myself dancing & praising God to that song as i was drying my hands. I'm talking... jumping up & down. Yes, I just admitted that I'm a little bit crazy on my blog. But it probably made you laugh, right? Picturing me, dancing in the bathroom, while drying my hands, and the possibility of someone walking in? -I'm excited. We're going to Grenada, Mississippi to visit relatives next weekend. And it will be my dad's brothers & some of their families. These are people I haven't seen in at least 5 years? My husband hasn't met them. They're cool. I'm looking forward to it! -I'm nervous (but just a little). My friend asked me to take pictures of their baby dedication at church on Sunday. I'm no pro - not even close - haven't even had time to really buckle down & learn some serious photography! She's not expecting pro pics, she just wants a few decent pics, but still. I want to get some good shots for her! Hopefully no one will see me & my camera, & assume I'm amazing. And then see the pics & be disappointed! HA! I'm kind of excited about it, even though it's not really a big deal! -I'm antsy. To get my wedding photo book in the mail! After almost 3 years of marriage, I have FINALLY ordered it! Excited that holding it in my shopping cart forever was worth the wait, because I finally got a pretty good discount & had enough money in my splurge account to buy it. I can't wait to see it! I love the story of you dancing in the bathroom! Love it when He fills us with his joy! Lysa TerKeurst talks about pineapple and how once you have the real deal you will never settle for canned ever again. She related to getting out own revelations from God's Word instead of settling for canned versions of someone else's. I need to blog about that. I LOVE that you were singing and dancing and praising God in the bathroom at work. That's pure awesomeness! About the pics... go a little bit early and take a few practice shots to see your lighting. See if your flash gets you what you need. You can turn up the amount of light that your flash gives off too. Did you know that!? I just started liking pineapple too lol and I also went my entire life thinking I hated mangos because my brothers would call the melons, mangos...and I hate melons! lol cute fun post! 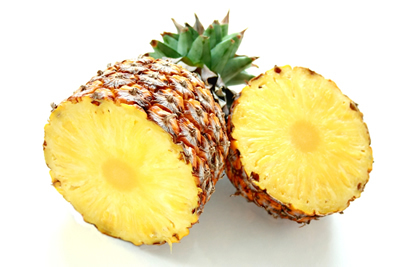 Pineapple is the BEST! Glad you've discovered it!